In the early Spring of 2012, my wife and I lost a baby. 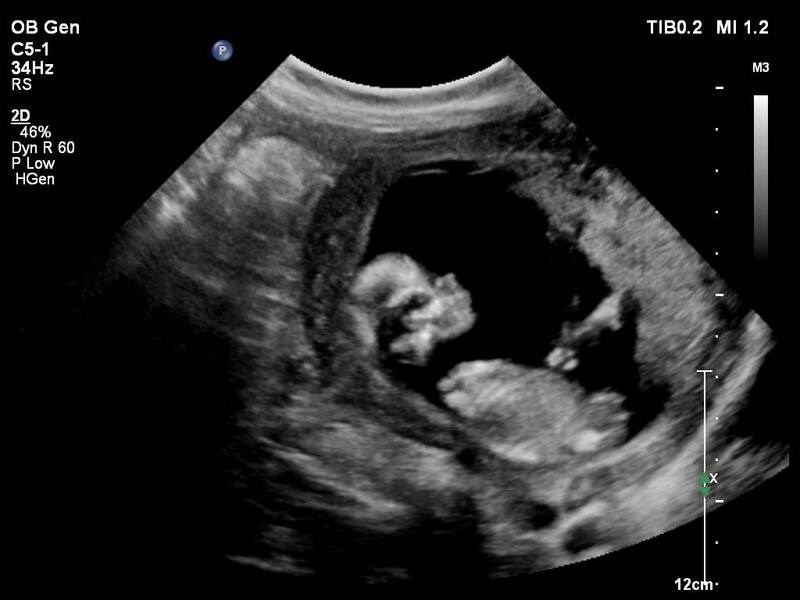 At 17 weeks of pregnancy, nurses listened for a heartbeat and found none. It’s possible our baby passed as early as the 15th week, but our loss was discovered at the 17th because of a scheduled appointment and check-up. Two days after the identified miscarriage, my wife and walked somberly hand-in-hand into labor and delivery, knowing this baby already rested in the arms of Jesus. The hospital staff administered compassionate care and packaged a small take-home memory box, a memorial tribute to our little one. Nurses tucked a copy of Baby’s footprints into a tiny cap. Barely the size of a nickel, those feet now run and skip on golden streets.